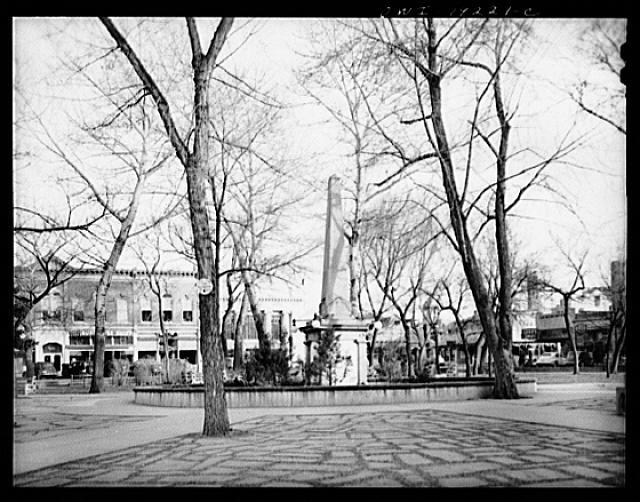 This is a photograph of the Santa Fe Plaza in 1943. This photo was taken by John Collier Jr. In 1941 to 1943, Collier worked as a photographer with the Farm Security Administration and the Office of War Information under Roy Stryker and documented many areas around the eastern U.S and northern New Mexico. This photo is part of the Farm Security Administration and Office of War Information Collections at the Library of Congress.